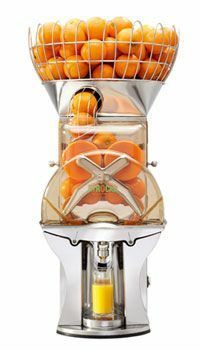 On average, our CitroCasa juicers takes less than 4 months to pay for themselves. We have locations that have recovered their investment in one month. Many locations start at 10 cases a day, but we have seen some locations that have skyrocketed to a staggering 60 cases a day. Most locations make an average profit of $2.25 per 12-16 oz bottle. At $20/case profit, you can realize a daily profit of $200 on just 10 cases. Contact us today to find out which CitroCasa fresh juice system is right for you.